What if you were to eliminate the unwieldy parts of a guitar but maintain its resonant sound and the same exact way of playing, in order to make the instrument are more convenient traveling companion? 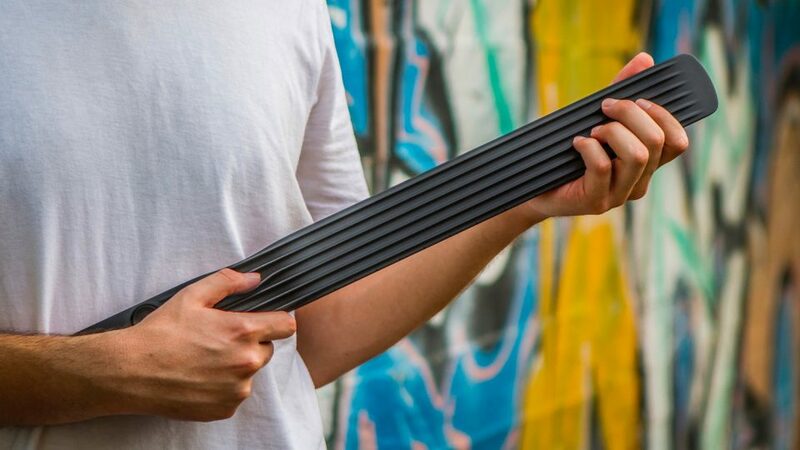 It might sound ridiculous or downright impossible, but that’s exactly what designer Orit Dolev has done with NOMAD, a compact digital instrument with pressure-sensitive frets and flexible rubber strings to replicate the traditional guitar playing experience. 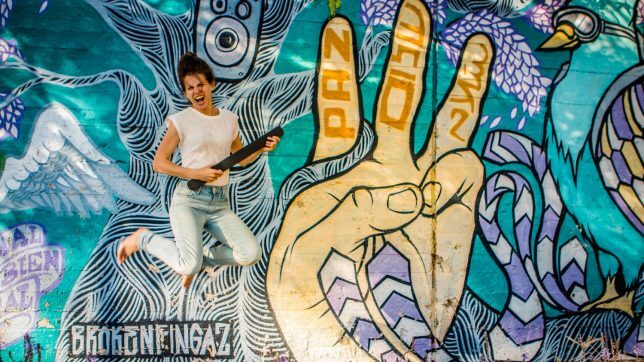 Dolev came up with the idea for NOMAD after taking a long journey through Asia and South America, where she imagined her guitar would offer a handy and powerful way to make new connections across language barriers. She quickly learned that getting around would be frustrating, noting that she couldn’t just shove it into her backpack, and the strings were constantly breaking and getting out of tune. 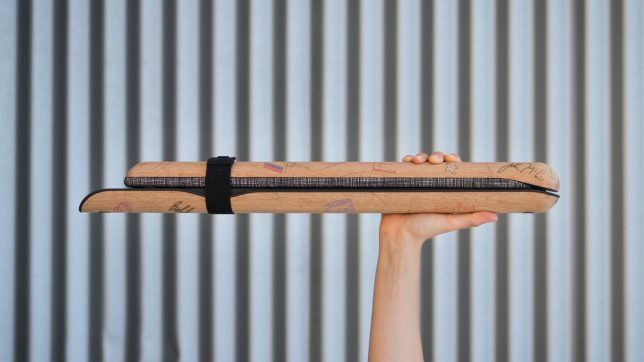 Designed to encourage mobility, the NOMAD features a wooden neck for a familiar feel in your hands. 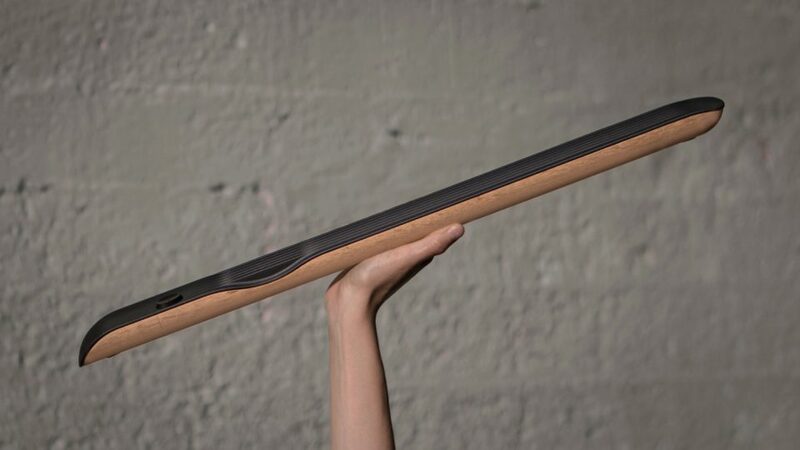 It pairs up with an app to play a wide variety of sounds, and you can turn the frets on and off to switch between acoustic and electric guitar modes or even to entirely different string instruments, like sitars. Hook it up to headphones so you can play on train rides or in hotels without disturbing anyone, or play through the accompanying portable amp, which doubles as a case cover.